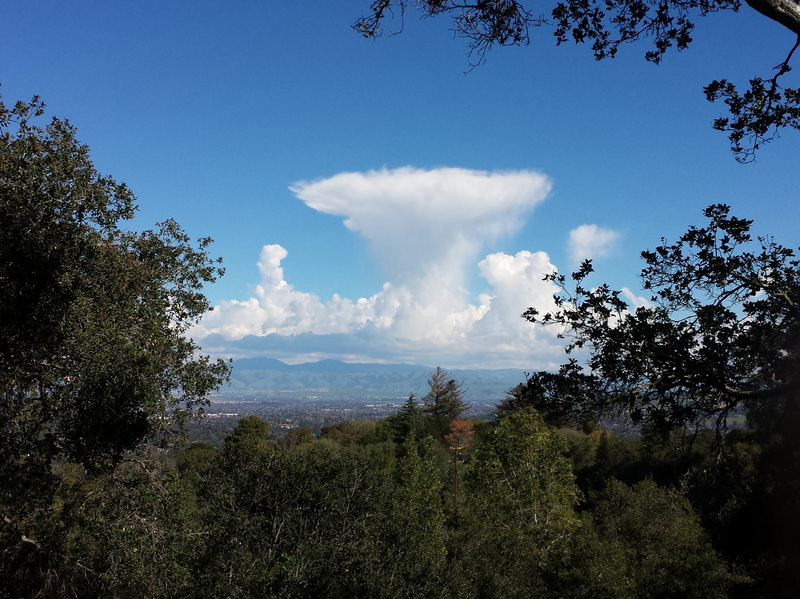 I was out in the hills of Los Gatos looking for mushrooms and saw this mushroom cloud over the Silicon Valley. 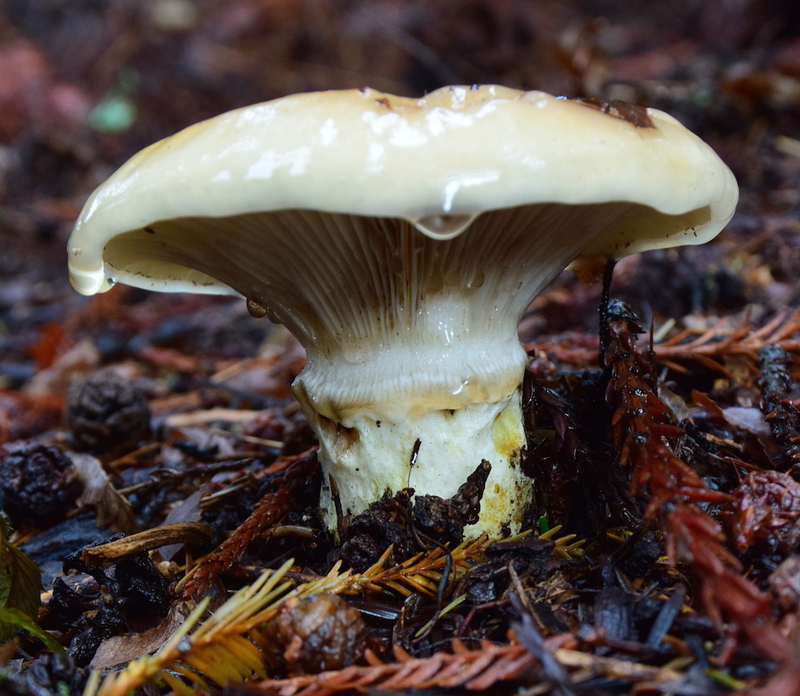 I took out my phone and took a picture of the only mushroom I found on that day, March 9, 2015. Thanks for sharing this photo, Linda. We also loved your Newt-Free Candy Cap cookies at the January General Meeting! 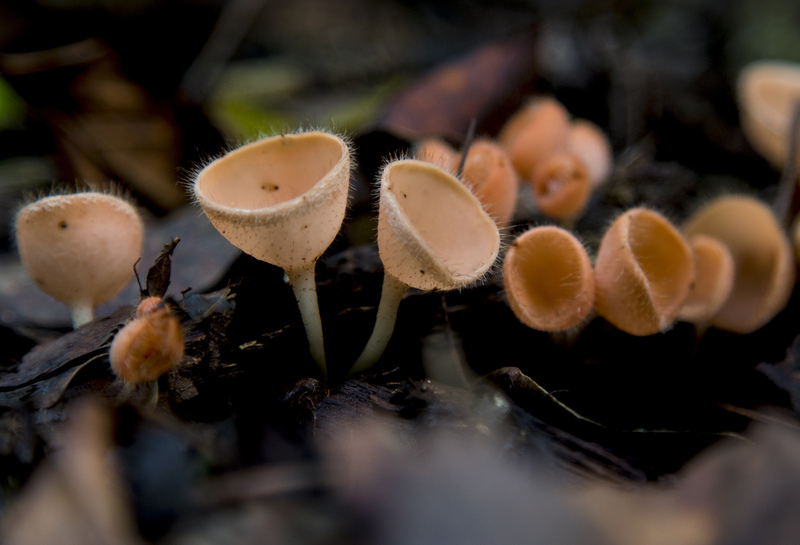 Strobilurus trullisatus forms colonies on old Douglas fir cones. Thank you Hugh for this lovely photograph!